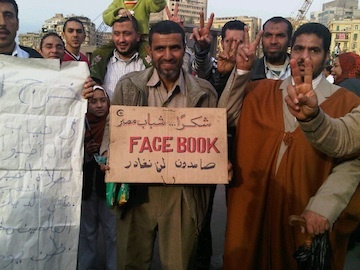 Last week, a giant leap forward in the world of technology occurred. No, Call of Duty: Libya Edition has not been released yet. I'm talking about the Jeopardy exhibition match between IBM's new mega computer, Watson, and former Jeopardy masters Ken Jennings and Brad Rutter. 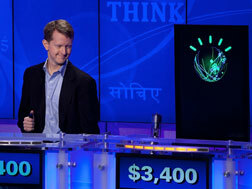 While our carbon-based brothers put up a good fight, ultimately Watson and the programming geniuses at IBM walked away with the 1-million dollar grand prize, which will go to two charities. What I found interesting was Ken Jennings' dissertation thereafter on Slate.com about his experiences with the IBM Super Computer on Jeopardy. He brought up a word that I find to be extraordinarily important in the world of Search Engine Optimization, and just good writing in general. That word is contextual. Contextual information is data which unravels the overall or general meaning of a given topic. So, for instance if you hear the word cheesy, you might think the term is referring to one of my awfully-timed jokes (I pray you are never a victim of my attempt to make you laugh......), until I brought up the term lasagna. Now the word takes on a whole new meaning; you've detected a pattern in the topic and begun to unravel the overall context of the root word or discussion. That machine zeroes in on key words in a clue, then combs its memory (in Watson's case, a 15-terabyte data bank of human knowledge) for clusters of associations with those words. It rigorously checks the top hits against all the contextual information it can muster: the category name; the kind of answer being sought; the time, place, and gender hinted at in the clue; and so on. And when it feels "sure" enough, it decides to buzz. Contextualization is soooo important for both humans and machines. It allows both the ability, as Jennings noted in both himself and Watson, the ability to get to that main point, and respond accordingly. A funny thing to also note above is Jennings' view of how humans and machines think very much alike. Granted, there is a significant speed advantage for the computer, but the point is that if enough time were allotted, both human and machine would arrive at the same conclusion, especially since the machine is patterned after human engrams. Watson was a major step forward in the advancement of computers, but it is also a wonderful opportunity to glimpse into the mind of a machine that is geared toward searching for answers. Now, let's take a step back and think about search engines for a moment; are not Google, Yahoo, Bing and other engines geared to do pretty much the same thing? You type something in the search box, and Google will seek out the best possible answers to your query, all in a matter of milliseconds. So what most people do in order for their site to rank well is to add content, and lots of it. Nothing wrong with that, but the writing is geared toward getting it ranked well by the engine, not developing the proper context of the article for the humans to consume and gain knowedge. This is all wrong, since as we noted above, the computer was developed with the likeness of the human, not the other way around. I'm not saying this like this is new to all of us, I'm saying it more as a reminder. A lot of times when we are writing for our websites, blogs, social profiles, and other search-engine related material, we are writing with the hopes that the machines will pick up our information and present it to somebody sitting in their suit or pajamas and invite them in. The problem is that we've lost touch with the more important one to write our stuff for ---the actual human being seeking the information. Humans are not looking for a stupid search-engine optimized article with tons of keywords and weird heading tags that don't even seem to make sense, they're looking for a real article on how to solve their real problem. Stephen Chapman of ZDnet today described an unsavory version of this as "article spinning", where you basically regurgitate an article you find on the web in your own words. The purpose, again, is to placate the search engines, with no regard for the humans that ultimately stumble upon it. It's a really awful practice, and the funny thing is that the net result is that it's not even useful. The humans that ultimately land on such a page won't even stay long enough for the content to matter, anyway. When you write your content for the web, write as if you're talking one on one with somebody. It takes some knack, I admit. but if you can refine your practice, the most difficult part of adding unique content to your site will be 90% complete. Then go back and edit a little bit, sprinkle a few good keywords in there for the search engines (Maximum 5% keywords range), and adjust the tags of your site accordingly. Above all, the most important endeavor is to make sure you've gotten the main point of your article across to the user - the context of the writing should be crystal clear, so that when the user moves on to a new topic, the one just observed is completely understood from your point of view. In conclusion, don't try to think like a computer. You already are one. Since computers are trying to be built like you, there's no need to try to impress it. Rather, think like the human that you are, have an opinion, and welcome the opportunity for others to benefit from it when they visit your blog, website or social profile.